James Peter Wilson obituary. Carnes Funeral Home. Due to health issues, I am unable to be there for you physically but, please know I am with you spiritually. I know you know the Lord therefore, you also know that you can get beyond this trying time with His help. I will always remember James for his gentle ways and his beautiful, shy, boyish smile. You are great and loving parents who he adored. I know you are proud to call James your son. Please accept my sincerest condolence due to your recent loss. May you find comfort in what John 5:28, 29 says. 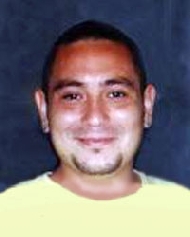 Xavier M.
GALVESTON James Peter Wilson age 32 of La Marque passed from this life Saturday, March 21, 2015 in Texas City. Funeral services are 10:00 am Friday, March 27, 2015 at Gulf Coast Foursquare Church 6205 Delany Road Hitchcock, TX 77563, Pastor John Elliott officiating. Burial will follow at Galveston Memorial Park in Hitchcock. The family will receive visitors at Carnes Funeral Home 3100 I-45 N Texas City TX 77591 on Thursday from 5:00 pm until 8:00 pm. James was born August 17, 1982 in Galveston to Joe Silas Wilson, Sr. and Leticia Aurora Perez Wilson. He was a 2001 graduate of Gulf Coast Christian School in Hitchcock and was employed as a carpenter. James enjoyed many things in life, especially learning. He enjoyed learning from the Discovery Channel, the History Channel, Animal Planet, and the Military Channel and discussing what he learned with his family and friends. He was an excellent carpenter being taught how to read a ruler by his father at an early age, which started him on his quest to build and do wood working. He loved to read and memorize scripture. James loved children. His own nieces and nephews were especially close to him as he always wanted to set a good example for them. His church family was his family and thus he worked faithfully at the church serving in many areas of ministry. He will be missed and forever loved by his family and many friends. Preceded in death by his grandparents, Rosie and Benjamin Wilson and Pedro Perez and a niece, Alyssa Wilson, survivors include his parents, Joe and Leticia Wilson, Sr.; sister, Tiffany Renee Lester and husband Jim Paul; brothers, Joe Wilson, Jr. and Jonathan Anthony Wilson; grandmother, Maria Elena Perez all of La Marque; nieces and nephews, Brittany, Jimmy, Payge, Marcus, Trinity, Malley and Jonathan “Bubba”; numerous aunts, uncles, other relatives and friends. Pallbearers are Joe Wilson, Jr., Scott Comeaux, Jimmy P. Lester, II, Pastor Robert Lee, Robert Daily, Chris Estep, Steven Van Ness and Felix Rivera. Honorary pallbearers are Jonathan Wilson and Jim Paul Lester.